Brain spotting is an innovative method for treating trauma (mental or physical injury), developed by New York psychoanalyst David Grand. Grand worked with victims of 9/11 and victims of Hurricane Katrina in New Orleans. Brain spotting assumes that physical and mental injuries are stored in the body as well as the brain. Through relevant eye positions it is possible to find the stored trauma and process it in such a way, that the organism can free itself from the burden. Brain spotting is a novel approach to treatment based on locating eye positions through the visual field, which are associated with traumatic events. 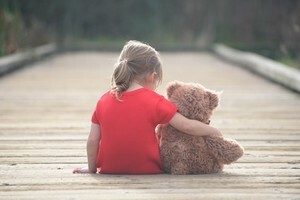 Every significant life experience has a corresponding connection in the body or in the limbic system, the "emotional brain". David Grand developed brain spotting in the context of trauma therapy with a 16-year-old figure skater, who had severe performance blockades and, among other things, could no longer perform the triple Rittberger. For competitive athletes, physical and sometimes psychological traumas are part of everyday life and often have to be hidden. Today we know that these injuries are stored in the body and brain and can cause severe performance decline over time. So David Grand noticed in working with this girl that she was staring at a certain point during her narrative. He instructed her to focus on this point and tell him what was happening on the inside. She suddenly remembered bad scenes from her childhood, such as the divorce of her parents, the mother, who blamed her for the divorce and did not come to her performances. The emerging material was discussed and processed and the next day the girl could jump the triple Rittberger without problems. The positive change was persistent. A brain spot is found through the eyes and their neural connections to the brain. A brain spot is a memory in the brain that can be found via the client's field of vision and certain eye movements (reflexes such as blinking, twitching, fluttering, ones gaze getting stuck, frowning, coughing, sneezing, clearing the throat, staring, yawning, small movements). However, the client can also notice stronger signals in their body awareness and thus define the activation of the brain spot. The strongest signal that becomes externally visible or internally perceptible indicates the brain spot. Once a brain spot has been found and the associated body perception activated, an intensive processing procedure takes place in which an experienced therapist supports the client. After localizing and determining the brain spot, the client is encouraged to direct mindfulness and attention towards inner perception. Through this very intensive form of self- awareness, feelings, thoughts, images, smells, bodily sensations associated with the initial topic are perceived and observed. The client is calmly instructed to describe what just appeared. This process continues until the client reports a resolution of the burden. The approaches of Gestalt therapy complement the basic principles of brain spotting ideally. Thus, this technique can be integrated into the Gestalt therapeutic setting in a wonderful way. Gallo's psychosomatic integration and trauma therapy is an innovative, highly effective approach for the diagnosis and treatment of mental health problems that can also be ideally integrated into other therapeutic concepts. Gallo, clinical psychologist and psychotherapist from the USA and author of several textbooks, based this effective technique on a synthesis of concepts of hypnotherapy, NLP, applied kinesiology and models related to the EMDR procedure as well as interventions derived from acupuncture/acupressure. 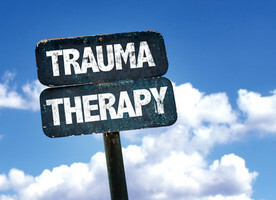 Gallo's trauma therapy shows stable clinical success with a wide range of symptoms. It supports the treatment of anxiety, panic attacks, phobias, post-traumatic stress disorder (PTSD), depression, obsessive-compulsive behavior and physical pain. Its general approach aims to treat all forms of stress, including addictions and other persistent mood disorders. The interventions of this therapy method create space for helpful, opening belief- and perception patterns that serve to develop new resources; this makes change easy and sustainable. 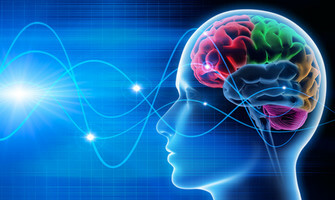 The underlying theory interprets psychological problems as disorders in the body's energy system and balances them with various techniques. These include tapping on certain acupuncture points ("tapping pressure") while the patient tunes in to his stressful feelings or traumatic experience and pronouncing affirmation sentences. To reduce problem and stress burden, standard acupuncture points or treatment points diagnosed using the arm length reflex test, are tapped on in order to gradually reduce the stress level from 10 to 0. The resolution of so-called psychological inversions often plays a key role in successful treatment, because, if there is such a thing, unconscious motives can run counter to the declared goal. This means that the patient unconsciously sabotages their desired goal and thus works against it.